The British Army recruitment process is a challenging and competitive one, no matter which career within the Army you wish to go for. To be successful, you will need to pass a number of stages, ranging from tests and assessments to an interview with an Army Development and Selection Officer. Let’s now go through the British Army recruitment process step by step. This first stage of the British Army recruitment process is very straightforward – you need to let the Army know that you are interested in joining them. Most commonly, this will be done through their official website (www.army.mod.uk) where you can fill out an application or chat to advisers. All the instructions you need will be easily found there, including information on the various roles and careers within the Army. Otherwise, you can visit your local Army Careers Centre, or discuss your application with them on the phone. You can also ask any questions you may have about the British Army recruitment process. When there, you will also be able to get all the needed information and advice, as well as complete and submit an application form. The application form itself asks you for basic personal details; it will not be dissimilar from ones you have completed in the past. Any additional info you believe to be relevant. Your form will then be looked at by recruiters to see if you meet basic entry requirements. If you do, you’ll then be emailed an online health questionnaire that you’ll need to complete and send back. Army medical questionnaire questions will cover areas such as pre-existing conditions, surgery history and medication use. Of course, you will then be judged on whether you are physically fit enough to proceed. This is done on a case-by-case basis, so if you unsure as to whether you have a disqualifying condition, it is worth having a go. Step 2: Invitation to an Army Career Centre. If your medical responses satisfy recruiters, the next step of the British Army recruitment process involves you being invited to your local Army Career. Here, you will receive a 30-minute introduction to the Army, in which the AFCO will present to you the different career paths available within the Army. There are numerous options available here, ranging from Electrician to Rocket System Gunner. You will then have the chance to have a sit-down meeting with a recruiter, in which you can discuss the options before you for half an hour. During the meeting, you can start to get an idea of which specific career path you’d like to go down. So, it’s perfectly fine to turn up to this meeting if you don’t yet know which role to choose – the purpose of this day is to help you decide. Again, if recruiters are still satisfied with you at this stage, and you have chosen a career area, you will be invited to an assessment day at a UK military base. This is the most involved and difficult stage of the British Army recruitment process. Base locations include: Lichfield, Pirbright, Glencorse, and Ballymena. You will be required to stay overnight, and will undertake several physical and mental tests, including a thorough medical examination. The tests may vary depending on which specific Army career path you have chosen. Let’s now look at the activities that make up the physical side of the army assessment. Note: The following three physical tests that you will need to undergo are generally consistent across the Army careers, but different ones may require you to reach different levels than described below. Please check with recruiters if you are unsure. Having said this, they are not done on a pass/fail basis. Rather, your performance on each one will be taken into account along with the rest of your results during the assessment stay, and contribute to your overall score. In this test, you will have to lift ‘powerbags’ (weights with handles on like a holdall) from the ground up onto a 1.45m platform. The lightest bag you will lift will be 15kg, and after each successful lift the powerbag will increase in weight by 5kg. This will continue up to a maximum weight of 40kg, or until you can no longer lift the powerbag. In this test, you will have to hold a 20 litre jerrycan in each hand and walk for either 150m or until you can go no further. One litre of water weighs one kilogram, so you will have to be able to lift 20kg (plus the equivalent of what the cans weigh) before you go into this test. In this test, you will be timed running a distance of 1.5 miles, or 2.4 km. This run will be preceded by a warmup lap of half a mile, or 800m. Note: Again, these tests are not assessed on a pass/fail basis; your results for them all will contribute to your overall performance at the assessment stay. This is a test you will face on a computer, which is designed to assess your ability to receive and digest information correctly and accurately. It does this through a series of psychometric tests. Your results are calculated not only using the amount of correct answers you got, but by the amount of time you take to do so as well. See below for some examples of the types of questions you will face. Example: “How many letters match?” Answer: 2. Explanation: 10 is the middle number. 7 is three numbers away from 10, and 14 is four numbers away from 10. This means the ‘distance number’ is 14, because it is ‘furthest away’ from the middle number. Explanation: You could get box 2 to look like box 1 simply by using clockwise rotation on both F shapes within it. However, if you wanted to get box 3 to match, you would have to use reflection; rotation alone wouldn’t cut it. This leaves the answer ‘2’, as two of the boxes match using rotation alone. This is a practical activity in which you will be taught how to throw a grenade, or at least a dummy one! The exercise will consist of you leopard crawling under some obstacles and launching the grenade when you emerge. This one is largely there to break up the day – you are encouraged to have fun while getting down and muddy while wearing some army gear. This section of the assessment stay involves a number of teamwork exercises you will undergo alongside your fellow hopefuls. You will have to complete practical and problem-solving tasks under time constraints, with some of them having a competitive element against other teams. Of course, the ability to work as a team is vital for a member of the Army, so your performance in this area will be scrutinised heavily. You will need to get involved, taking and giving orders where appropriate to efficiently get a task in front of you completed. Also, you will be given feedback on your application, focusing on your performance during the assessment stay. This meeting also gives you the opportunity to ask questions and talk about your experiences with the Army so far. At this point, you are nearing the final stage of the British Army recruitment process. This next step is the final one in the British Army recruitment process – entering phase 1 of basic training! Of course, you will only get this far should recruiters choose to advance you after considering your entire application. All the while, you will be able to contact a recruitment officer with any questions you may have. You will then be provided with all the information you need concerning your next steps and chosen career path. So, this is where this guide to the recruitment process ends! For more resources on how to join the army in 2019, follow the link. For information on our 1-day Army Officer training course, follow the link. FREE DOWNLOAD: Grab yourself a copy of The Essential Army Officer Interview checklist below! Good day am Akanga Isaac from Nigeria and have passion to join the British army. I please need help on how to go about it. thank you! Thank you for your comment. Great to hear your application is coming along. As far as we are aware, there is no set amount of time between your interview and assessment centre. It could be a couple of weeks apart. If there is any help you’d like with preparation for the assessment centre, do let us know and we’d be happy to point you in the right direction. Best of luck! I applied on 26th december 2017 and have my 2 days at the assessment centre on monday ( 6th august 2018 ) so be prepared to wait a while. Thanks for sharing your experience, this is always useful information to know! Hello how2BECOME..I’m Shalom from Kenya, how long does all this process of assessment take from the day you submit your application on your portal!? Coz the site said I should wait for a review of my application for two days and it has taken longer than that..thank you. Thank you for your comment. Our understanding is that it can vary – they should get back to you very soon. If in doubt, it is always best to ask the centre you have sent your application too as they will be best placed to help. If you have any questions about the process, please let us know! I’m an undergraduate considering to join up rather than pursue my degree. However I feel quite clueless in regards to the options available to me (even after reading up online etc), so i just want more information and not necessarily to commit to anything. I was planning on going to my nearest recruitment office; but since I’m so unsure, is it still appropriate to go a this stage? I don’t want to be seen as a time waster! Thank you for your comment. It sounds like visiting your local army careers centre is the best option. They will be more than happy to discuss entry routes, army life and any other questions you may have – this is what they are there for and if you don’t want to join, that won’t be a problem. You can find your nearest local army careers centre here. Process, quick question if possible: I’m due to go to selection within the next month at glencourse and I was wondering if you’re sure the 1.5mile run isn’t a pass/fail test. Because I can run the distance and even 5k no problem but my times vary. What time are you running at currently? Depending on your age, you should really be looking to be at the very least under 12 minutes – however, everything else will be considered so you wouldn’t necessarily fail. Ideally, you should be aiming for 9-10 minutes (obviously better if you can, and with the right practice, you should find this quite achievable, especially if you are already good at running 5k. Keep at it, create a routine and even practice some sprints and you’ll get there! Let us know how you get on! Holding dual citizenship in South Africa and Portugal, kindly advise on the recruitment process on joining HMAF? Any further questions, please don’t hesitate to get in touch! I am Rhoda Donkie Adjanor and would like to join the British Army. I applied in the army back in late 2016 it’s now 2018. The only issue has been the time it’s taken and I Was diagnosed with blood in my urine, I performed the tests such as endoscopy, cystoscopy and a ultrasound (all very unpleasant tests) to see if I had any illness and peace of mind as well. And after a7-8 month wait back from the army they simply replied with another set of two tests(shistomaniasis and tuberculosis) I was very displeased with this as the disease isnt in my country and they would have clearly seen if I had tuberculosis in the assement Center medical tests. So As this has gone on with back forth letter each taking 2-3 weeks each I am nearing the year of “ solving médical issue” I called them am I may have to do the process all over again. This seems a bit unfair and very poor seeing as it took the army 7-8 months to reply back just looking at my test results showing I had no abnormalities or illnesses. so I beseech anyone help me Or tell me a corse of action I can do because all this time I’ve put my effort and time Into this I do not wish to do it all again because it’ll end up the same or just a repeat. Thanks for sharing this with us, we’d love to hear how your application goes. Hi! My daughter applied to join the Army in February 2017, and went for selection in May. She passed everything with flying colours, except the run, and was called back to do this again in August 2017. Unfortunately, she missed the run time again having twisted her ankle, and was told she would be called back in December. After much badgering, she was finally called back in August 2018. She had been training hard for the 13 minute run time, and had logged all her runs and had them verified although as she is used to running with a watch, she had found her times without it to be a bit erratic. Having travelled the 160km to the recruitment centre for the two day assessment, she requested a pacing run (which was refused). On Day 1, she completed the written tests (all good), the Command Tests were skipped over altogether, and then, after lunch, they were rushed through the Fitness Tests as the staff had decided to cut the 2 day Selection process to one day as 2 recruits had failed to show. With insufficient prep, she failed the run again. She has been told they will call her again in 3 months, but at this stage, she is so despondent, I think she is considering giving up. Her CSO is useless, and can never be contacted; does not reply to emails or return calls. Can she request to go to another Selection Centre or appeal against the decision, as she has proof that she can make the run, and just missed it on the day? We’re so sorry to hear that your daughter has had such a difficult time with the selection process, and it certainly sounds like she’s earned her spot. We definitely think it’s a good idea to request another selection centre, but obviously we can’t guarantee that this will lead to results. It’s definitely worth looking into though. We really hope she gets the role, and wish you the very best of luck! My name is Isaac Amos Ekele am from Nigeria I have being trying to register online and its being difficult registering… When registering u get to a point where they ask if I have being staying in the UK for than 5years and am applying as an African from Nigeria please how do I get pass this stage because it’s so tiring and frustrating when you keep doing the right thing and getting the wrong result… Please what should I input in that space of residence in the UK for more than 5 years.. In order to be eligible for the British Army, you need to have been a resident in the UK for at least 5 years. Since you’re a citizen of a Commonwealth nation, you do not need to obtain UK citizenship. All you need to do is live in the UK for at least 5 years. We hope this solves your issue. Good luck in your application process! Hey im a member of a common wealth country too, i have heard in the news that it is ok for us to join even if we have never lived in UK for 5years, i thought it was fake news but i confirmed this with my family in the British Army…and for you to get over tht step..enter the country and dates youve lived in for the past 5years..it worked for me …i put in Fiji and lived in fiji from 1/01/2013-31/12/2017. My daughter has been diagnosed with mild bipolar, is she wasting her time even applying to join the army? You can find a list of medical conditions that would prohibit the army via the British army medical guidelines website. Our advice is to speak to a careers advisor to find out more, as this will hopefully not be an obstacle =]. Thanks for your comment, and great to hear you are interested in joining the army. You can find out more about the eligibility requirements via our helpful blog on Army Eligibility Criteria . Any other questions then just let us know! I’ve been trying to look up when the “intake” days/dates are for new recruits, as in how often they get a new “batch” of recruits, however I haven’t had any success. Does anyone know how it all works? Is there a specific college you’re trying to join? Intake days differ depending on the college you’re applying to. This is all very subjective. The best thing to do in this circumstance, would be to clarify the situation with your local Armed Forces career officer, who should be able to inform you about the latest induction schedule for your son. Hope this helps! Hi, I am Henry a Ghanaian. I applied to join the REGULAR SOLDIER-INFANTRY SOLDIER – THE PRINCESS OF WALES’S ROYAL REGIMENT on 17th January, 2019. Currently my application has been accepted and waiting to be reviewed before moving to the next step which is the Face to Face Meeting. Please do you have any idea how long this would take? Thanks for your comment. It really is subjective, and depends on a) how many applicants they have to process and b) how long it takes them to process your own application. It shouldn’t be too long though, hopefully! hello henry, how long were you resident in the uk before you applied? Am thinking of applying, but don’t have up to five years residency. Your friend is not misinformed, you will have to sit a variety of tests when joining the Army, as they need to make sure you are physically and medically competent. So, be prepared for all kinds of checks! Hie, am twitike from malawi. Great news that you’re applying for the Army. Following your medical checkup, you’ll likely need to take some assessment tests. The time taken for them to call you up for this may vary, depending on the number of applications they’ve got, and your medical results. It shouldn’t be too long though, so listen out! hello Tara, what if you have stayed in the Uk for at least a year, will you be considered? I applied on the 8th of march 2019.so i wish to no when i will be call so that i can prepare myself. If you work hard enough, then yes you definitely can get promoted to officer! In regards to your other queries, it really depends on how much time to takes the army to vet you, and the number of other people that they have applying. There isn’t a definitive timeframe so to speak, because it depends on lots of factors, but hopefully they’ll be in touch soon! Can someone goes to the assessment center and request to switch from a regular soldier to a regular officer despite the fact that his application has been granted as a regular soldier. 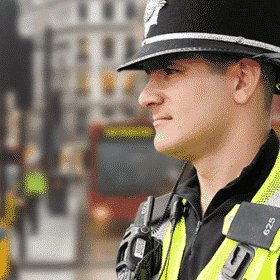 Yes, you can switch your application to apply for the role of officer – a lot of the time if the assessors think that you are officer material then they will actually encourage you to change your application, in order to suit this. Thanks for your comment. We recently wrote a blog on how to join the British army as a foreign national. You can check that out here: How to Join the British Army as a Foreigner or Commonwealth Citizen.